BOSTON, Mass. 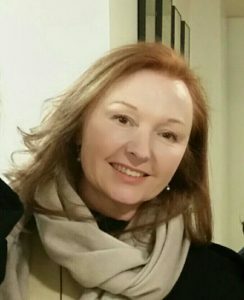 – Scullers Jazz Club is pleased to announce the appointment of Jan Mullen as general manager and artistic director of the improved and expanded, world-class entertainment venue located in the DoubleTree Suites by Hilton Hotel Boston – Cambridge. 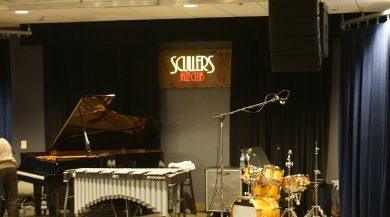 A staple in the jazz world for over 25 years, Scullers retains the same intimate feeling the club is known for, while opening up the club to a bigger and broader range of national and international musical talent that has long been out of reach due to capacity. A 25-year veteran of the music industry, Mullen brings an in-depth knowledge of today’s vital jazz community, serving as club director of The Side Door Jazz Club in Old Lyme, Connecticut for its first four years, establishing the club as one of the top rated and respected jazz venues in the country. Her decades of music industry experience includes artist management of many notable Top 10 performers of the 90’s and 2000’s, as well as production of major tours and festivals worldwide. Mullen also has served as product manager for Columbia Records/Sony Music in New York City, as artist promotion and marketing at both Island Records/Def Jam Records and Chrysalis Records, and as artist relations consultant for the Zoom Corporation and NAAM convention. Throughout the course of her accomplished career, Mullen has consistently been a leader in talent management, artist relations, creative marketing and promotion strategies and guest relations. 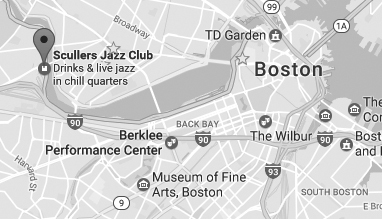 Her combined experience in entertainment management and intense passion for jazz will only enrich Scullers Jazz Club’s reputation as the top entertainment venue for live music in Boston. Jill Greaves Design Inc. was responsible for the revival of Scullers Jazz Club in their new space as well as the continuation of their iconic setting, reminiscent of classic jazz clubs. Featuring custom finishes and furnishings with a nod to the golden era of jazz, guests can enjoy the hustle, bustle, music, brass, laughter and beauty of jazz in the club of the future. 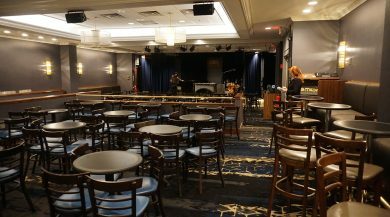 With the relocation of the jazz club to the hotel’s main lobby level; a new seating capacity of 205 seats per show; a raised and expanded stage; state-of-the-art sound and lighting system; and tiered seating for improved visibility, the new layout of the club will give the most discerning jazz fans great sightlines from anywhere in the room as well as more choices for preferred seating and tiered pricing levels.